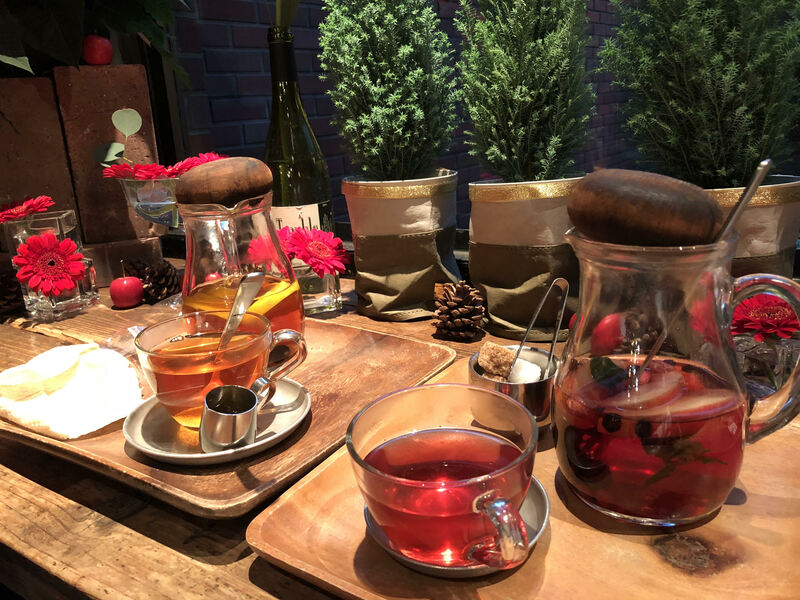 If you are looking for a cozy place to spend time with your friends or loved ones, you might want to check out Aoyama Flower market tea house in Omotesando area, Tokyo. Omotesando area is one of the busiest districts in Tokyo. It is on walking distance from the famous Harajuku area, which considered as the center for Japanese pop culture. 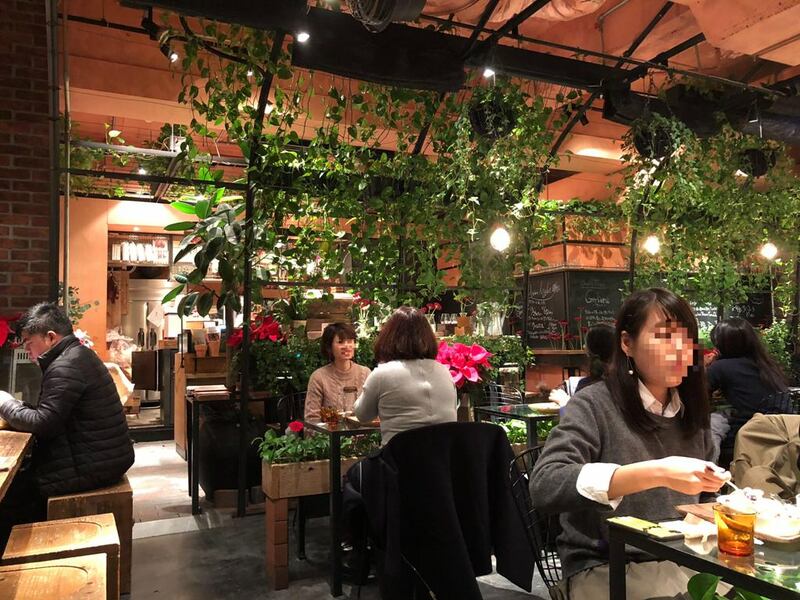 The tea house is located inside the flower shop and it is nicely decorated with flowers and lighting. They trying to depict the image inside the greenhouse with real plants and flower all around you. The ambiance is really soothing and romantic with the dimmed light. 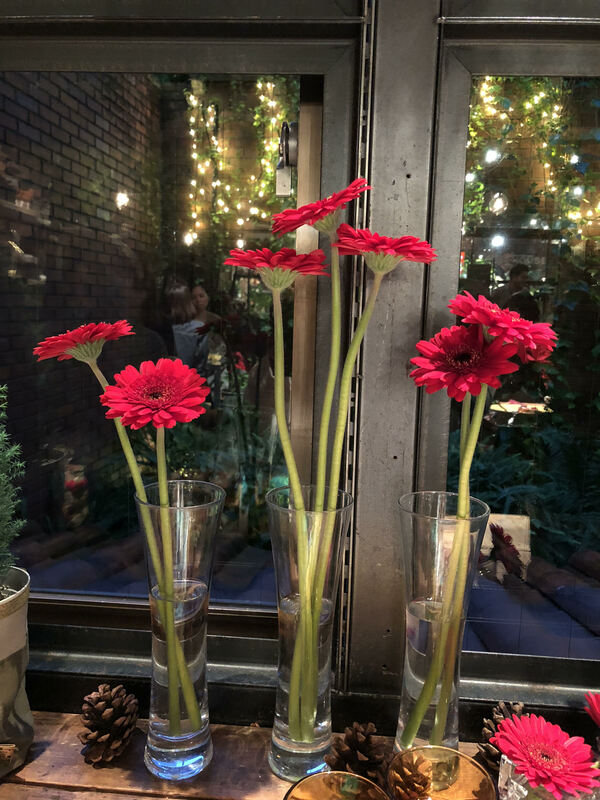 I really like it there, whenever I turn around there were flowers naturally put as decoration. The have several tea menus that you can try, and all of it is quite affordable. Along with the regular menus, they also offered seasonal menus using flower and fruits representing the current season. We try the seasonal menu made with apples (the red ones) and lemon-banana (the yellow ones) each cost us 756 JPY. The tea served in a pitcher, enough for at least 3 cups of tea. You can adjust the sweetness by adding sugar or honey. 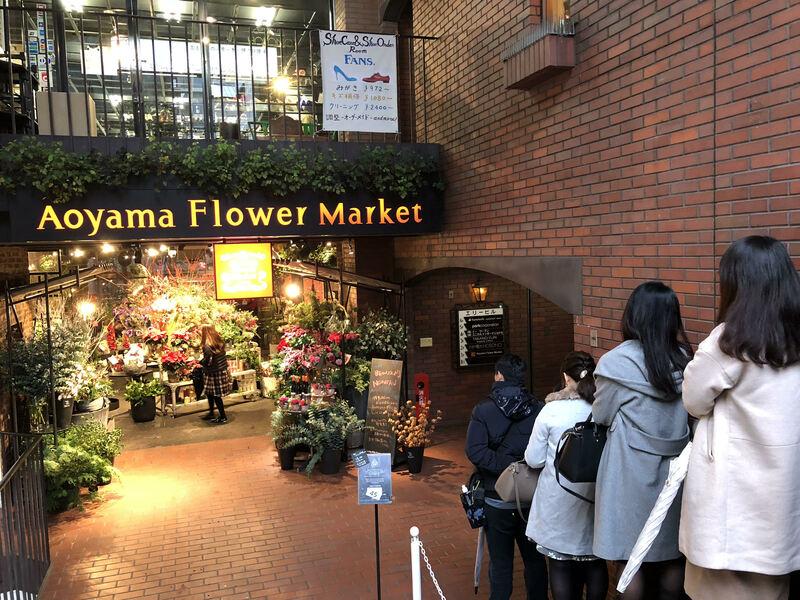 The store is so famous that you need to line up to be seated. We came on a weekday at 3 pm and waiting for about 40 minutes before we can get inside the tea house. We recommend you to avoid coming on weekends since it will be much more crowded. 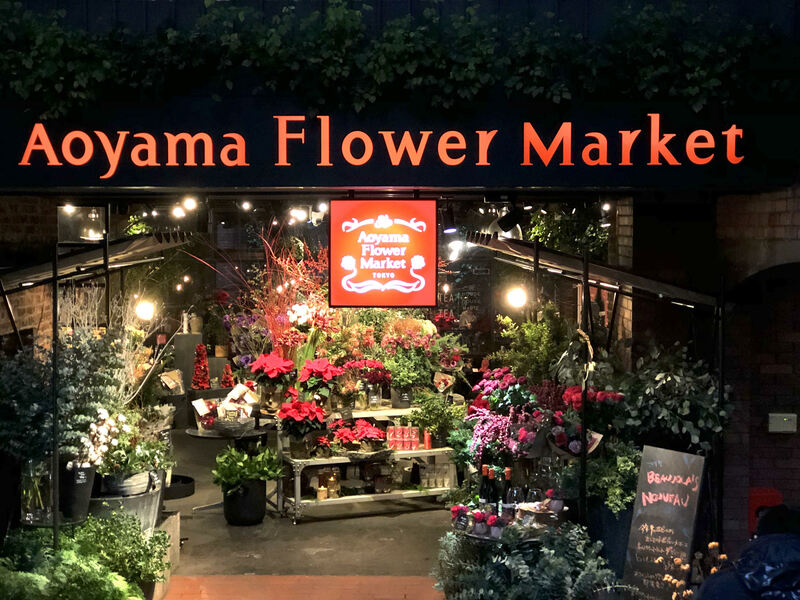 After having a sip of your tea you can take a picture inside the flower shops and bought it to decorate your room. Business hours(Monday-Saturday) 11:00 a.m. – 8:00 p.m.
*Last order at 7:30 p.m.(Sundays & holidays) 11:00 a.m. – 7:00 p.m.
*Last order at 6:30 p.m.(Lunch) 11:00 a.m. – 3:00 p.m. In "Halal Foods in Japan"